Dave Wickerham and Justin LaVoie at the St. Louis Fabulous Fox Theatre’s Mighty Wurlitzer Pipe Organ. 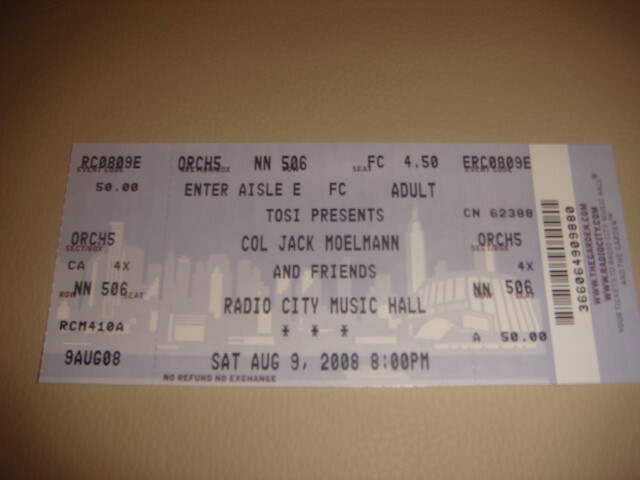 This all began about nine years ago, August 2008, when Air Force Colonel (retired) Jack Moelmann of O’Fallon, Illinois, dipped into his life savings to rent the famed Radio City Music Hall in New York City to put on a spectacular program featuring the largest theatre pipe organ ever built by the famous Wurlitzer Company. Featured in that program were Fr. Gus Franklin, Russell Holmes, Jack Moelmann, Walt Strony, and Lew Williams. 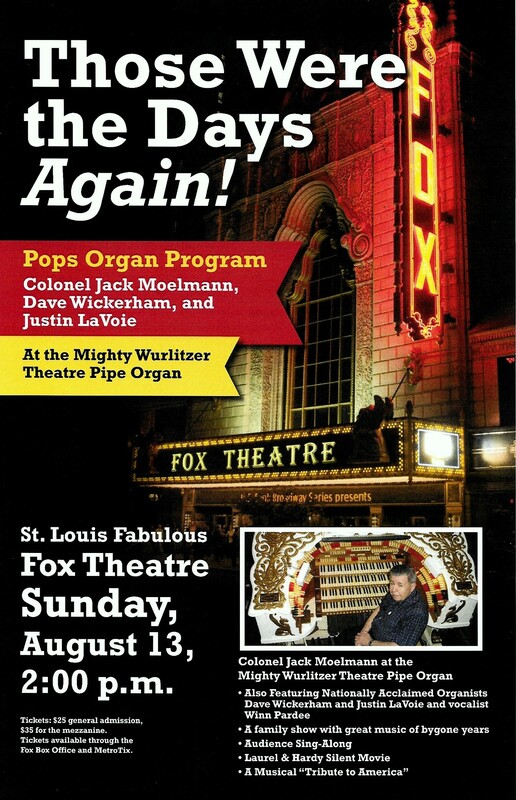 It was later in August of 2015 when Jack thought it was time to have a sequel to that show, so this time he also personally rented the Fabulous St. Louis Fox Theatre to feature its Mighty Wurlitzer Theatre Pipe Organ in a public show. Incidentally, the Fox Mighty Wurlitzer is 2nd largest to the Radio City organ. This was the first time in the history of the Fox Theatre that the Wurlitzer organ was the singular “star attraction” in a public event. That show featured Walt Strony and Lew Williams in addition to Jack. That program was so successful, with around 2,000 people attending, that Jack thought to himself briefly, “why not do one more?”. Thus the program coming up Sunday, August 13, 2017 at 2:00 p.m. There will be three organists each playing a part in this show. The format will be similar to the show in 2015 in that it will have a sing-along with the words on the screen and a relatively short Laurel and Hardy silent movie comedy with the organ accompanying the film in addition to some other great music on the “King of Musical Instruments”. The finale will consist of Jack’s “Tribute to America” – a medley of our patriotic songs. 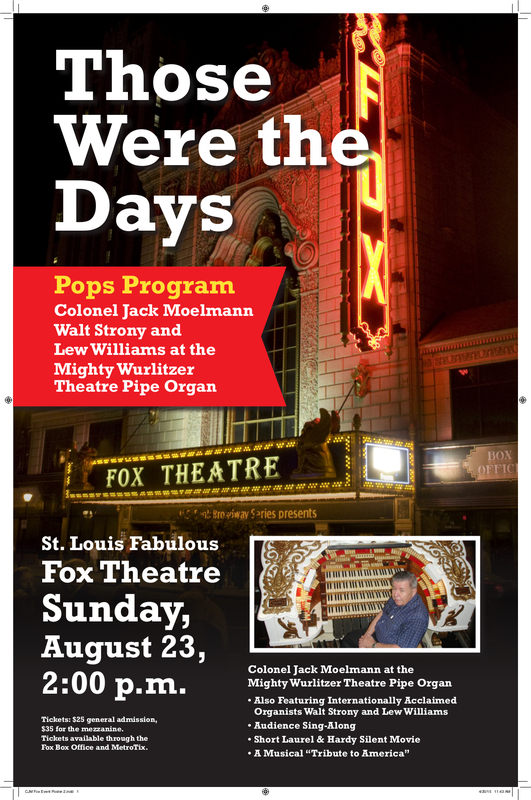 The program is entitled “Those Were the Days – Again” with Colonel Jack Moelmann and Friends. The friends are two other fantastic organists, Dave Wickerham and Justin LaVoie, who will dazzle everyone with their musicianship. The show will relive what many theatres experienced back in the early 1900s including the Fox Theatre and other great movie palaces across the country. General Admission tickets are available at the Fox Theatre Box Office and through MetroTix for $25 and $35, the latter for seats in the mezzanine, a very good place to see and hear this wonderful organ. There will be no assigned seats. For more information, contact Jack Moelmann at (618) 632-8455, e-mail Jack@JackMoelmann.com, or visit his web site at www.JackMoelmann.com. RADIO CITY MUSIC HALL GALA: "THE REST OF THE STORY"
It was August 9, 2008 that we held a gala organ program in Radio City Music Hall in New York City – the likes of which have never been experienced in the history of the Music Hall or probably the theatre organ world either. 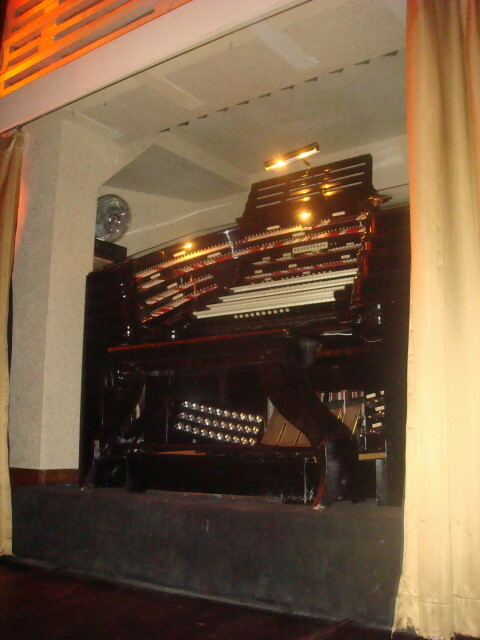 The star of the show was the 4-manual (keyboards), 58-rank (sets of pipes) Wurlitzer Theatre Pipe Organ, the largest organ ever built by the Wurlitzer Company for a public venue. The organ was originally installed when the theatre opened in 1932 and has been featured many times during the years in conjunction with movies and stage presentations but the best we could find out is that it has not been featured in a public concert such as this, at least not in recent years. 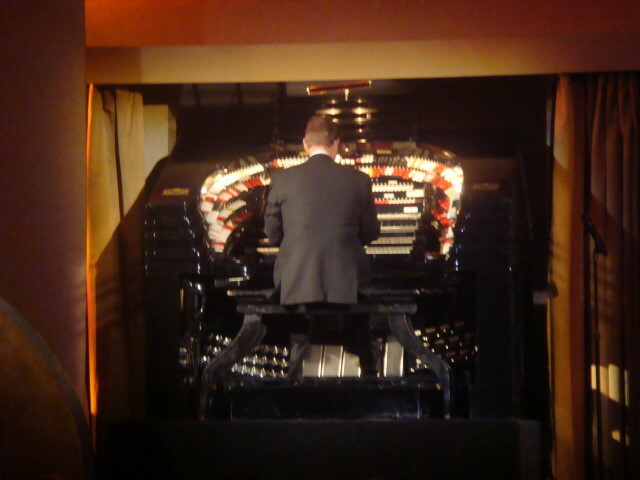 The organ was used in concert at the 2007 American Theatre Organ Society (ATOS) Convention in New York with Walt Strony presiding at the console. This event, as were other programs in the past featuring the organ, was not open to the public. I thought it was time to tell some of the “behind the scenes” things that went on that were associated with this event – and we stayed away from the word “concert” as that word frequently has a boring connotation associated with it. 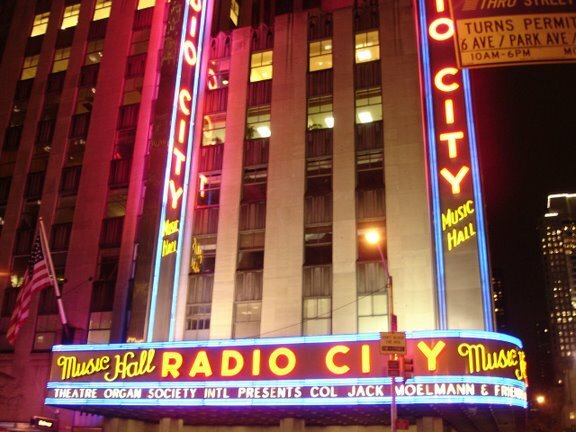 It was in February of 2008 that I discussed the possibility of the Theatre Organ Society International (TOSI) doing a show at Radio City Music Hall with Nelson Page of the New York area and Gus Franklin, President of TOSI. This time the show would be open to the public. They said the costs would be prohibitive for TOSI to afford. I asked how much it would cost, thinking perhaps $10,000 was a good figure and I could spring for that. Investigation proved me wrong. It was $75,000 just to rent the four walls of the place for a day. Then there would be the cost for the stage hands, security people, lighting, sound, etc. I thought that wouldn’t be too much because how much support does one need for an organ program - some type of basic lighting, a microphone, and an organ technician. I later found out that the “crew” was to cost in excess of $43,000, all union people of course. 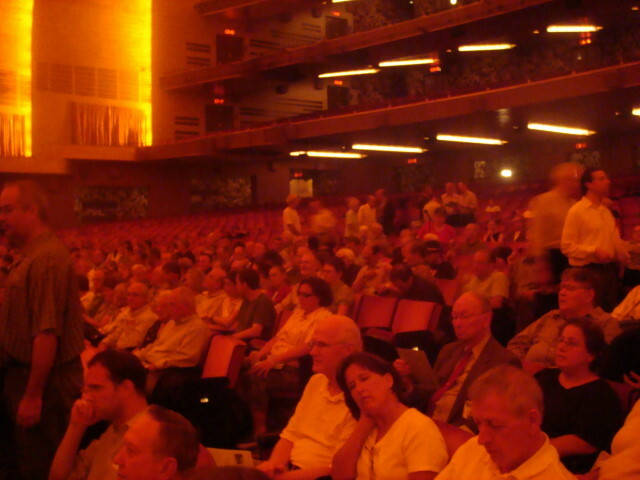 Radio City Music Hall was the scene of a truly historic event for the theatre organ world. 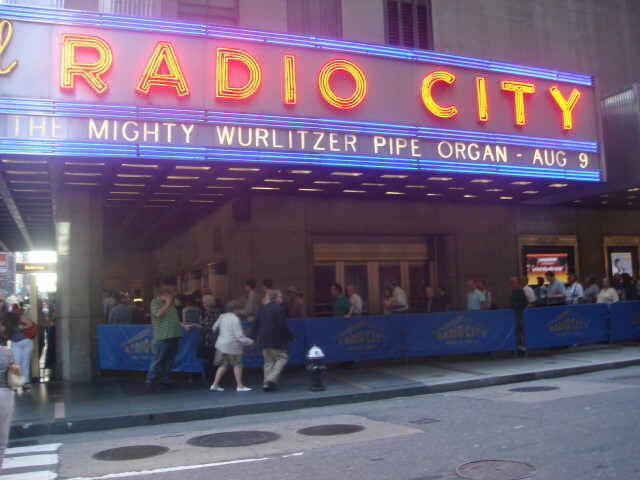 At 8 pm on the evening of Saturday, August 9, the largest and last theatre organ the Wurlitzer Company ever built for a public venue, Radio City Music Hall (RCMH), was brought to life and showcased for the public. The Theatre Organ Society International (TOSI) presented Col. Jack Moelmann and friends, Lew Williams, Walt Strony, Russell Holmes, and Fr. Gus Franklin, in a designed-for-the-public pops organ program featuring that historic instrument (installed in 1932) in the “Showplace of the Nation.” As you likely know, the entire event was underwritten by Jack personally. That action was responsible for a huge amount of publicity for the theatre organ world. It was certainly the most highly publicized organ, let alone theatre organ, program ever! While the events at RCMH generally pay for large amounts of advertising, the staff there indicated that none of their events has ever received so much free publicity! Only time will tell how much public awareness of the theatre organ in general and the RCMH instrument in particular was generated by this publicity or how much positive benefit will result from it. According to the reviews and the reaction of the audience, the program was a huge success in all ways, except financially, of course. Jack never expected to begin to recoup the cost of the event. The program was, however, precisely what Jack had designed: segments of solo performances by Jack, Walt Strony, Lew Williams, and Russell Holmes; a sing-a-long with the electronic “slides” projected from computer generated and stored images being displayed on two LED screens located essentially above the two nearly independent consoles which can control the organ; a couple of duets utilizing both consoles, which was no easy feat considering that the consoles were nearly a city block away from each other; and Jack’s famous “Tribute to America” with Jack at one console and Fr Gus Franklin at the other. For the concluding number, The National Anthem, the organ was “brought to its knees!” If Jack wasn’t using a particular significant stop, Fr Gus was, and vice versa! Several said that it brought tears to their eyes. As President of TOSI, Fr Gus welcomed the people in attendance and briefly described this historic event. Applause followed nearly every sentence! Emcee Nelson Page then began the introductions and the program was underway. This was all done from center stage and nothing else appeared there until after the program when Jack and friends appeared there for the curtain call. At that point, Nelson Page presented Jack with a plaque indicating the fact that he was the first person to be inducted into the TOSI Hall of Fame. Then, on behalf of his home church (St Michael’s in O’Fallon, Illinois), Fr Gus presented Jack with a bouquet from them indicating their support of his efforts. Some five or six members of the congregation were, in fact, present; the bouquet was presented on behalf of the others who could not be there. Nearly one thousand persons were present for the program. While you may read or hear that attendance numbered only about six hundred, those news (or noise!) sources ignored the fact that ticket sales came from three sources: the TOSI website, TicketMaster, and the RCMH box office. Approximately twelve hundred tickets, including complimentary ones, were dispensed. Further information and reviews of this event are all over the internet. There are articles and pictures from all the major media sources. Jack is still being hounded by a couple of them. Watch the following video from CBS Evening News ! Radio City Music Hall has been home to some of the most spectacular entertainment events ever produced. From the greatest headliners - like Elton John, Frank Sinatra, Liberace, Barry Manilow and others – to great events such as the Tony Awards, the now-popular ESPY Awards – and its annual Christmas Spectacular, the Music Hall provides headlining entertainment and events as part of its standard bill of fare. Imagine that officials at Cablevision, owners of the famed theatre, are now asking themselves how did a guy nobody knows generate more publicity for a single event than any other in the history of Radio City Music Hall? And who would have ever figured that event would have been an organ concert? 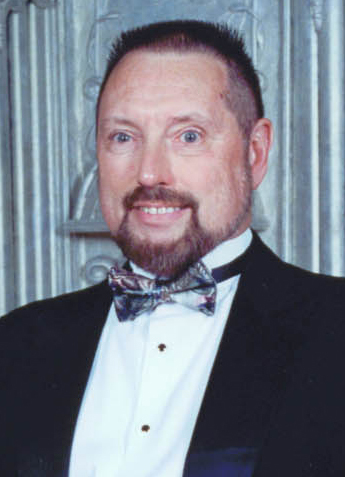 CBS, CNN, Fox, the New York Times, and hundreds of newspapers, radio and television news outlets across the country now know the name Jack Moelmann, as well as some “new” pipe organ terms. Jack’s concert on the Radio City Mighty Wurlitzer pipe organ drew amazing Media attention. And to that end, our former ATOS President and “Mr. Everything Else” focused a stronger national spotlight on the instrument we love than any other event in our history. Jack’s real dream was to bring the public eye to the theatre organ, and where else to do that but at the Nation’s Showplace, and on the theatre organ perhaps most heard by the average John Q. Public. While the news story angle focused on “Military Retiree Spends Life Savings To Play Famous Organ,” the fact of the matter is, on that glorious Saturday night, August 9, in New York City, Jack did what smart performers do. He shared the stage and the console with some of the best talent in our business. Walt Strony, Lew Williams and Russell Holmes also took to the giant consoles, along with Fr. 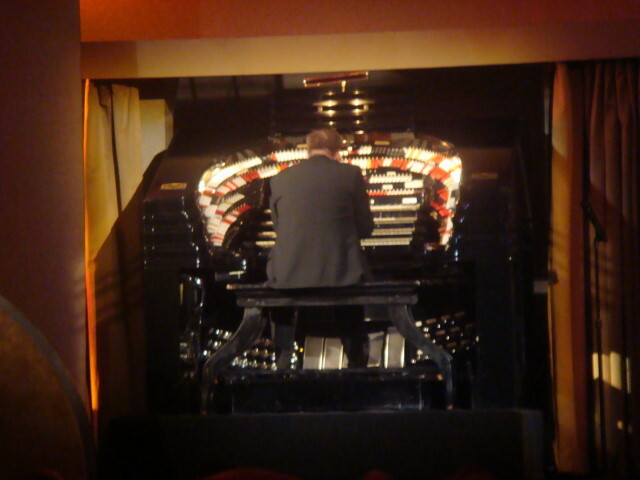 Gus Franklin, and a crowd estimated at nearly 1,000 enjoyed the big Wurlitzer in solo performance open to the public for the first time in many years. It was certainly an historic and monumental occasion, and friends not only played, they came from all over the country and beyond. It was also a very musical and entertaining evening. Veterans, Walt Strony, Lew Williams, and Russell Holmes handled the Music Hall Wurlitzer's idiosyncrasies and dead notes with an extreme degree of professionalism, and also gave us a decent romp through the instrument's resources, at least the ones it still has to offer. The evening belonged to Jack Moelmann, and he offered no pretense. He was simply himself, there to have a good time, realize a dream, and share it with lots of friends, 'some of whom (he) liked better than others, but all of whom (he) had known since the day (he) met them.' When things didn't go exactly as planned or perhaps desired, Jack poked fun at himself, and the audience loved the informality. The people clearly wanted to be there and enjoyed every minute. And a plethora of minutes there were. The program lasted over 2-1/2 hours, plus an ample intermission with time to refresh, buy a beverage, or Jack's wares, cassettes, wire recordings, and tee shirts, or just socialize with the ‘who's who?’ and enjoy the art deco surroundings. While duets were promised with two organists at the consoles, for the most part, one or the other sat there doing nothing, the duets being the passing of the baton from 51st St to 50th St on one piece or another in a medley. Granted, playing duets a full city block apart is tricky, and may have required cell phones with long distance (or International) calls to coordinate matters. I almost expected an appearance of Russell Holmes mid-stage, at grand piano, for the finale, but that probably was yet another $90,000, as would have been a 5-minute appearance of the Rockettes kicking to canned music. Many of us had "choice seats" right up front and center, only feet away from the stage lip. I have no idea why the people who run these venues think the best seats for an organ concert are those right at the edge of the stage, but they do. It would even have been too close if the Rockettes had performed. (Next time, Jack.) I was right between the chambers, the percussion chamber overhead, and it was the Music Hall Organ on "headphones" perhaps with a few steroids thrown in. Much has been said about the organ over the past years. It was still full of dead notes, causing obvious gaps in some of the music, especially when the organist was trying to solo a voice (or cluster of voices, such as full Tibias, or Tubas.) Many times, the Solo 4' Tibia, or mutations simply dropped out of the melody. Most people probably didn't notice. The Sonorous Tuba Mirabilis (and its Profunda partner) often dropped out on the same note on both ranks, leaving the organist with a hole in the melody. Russell simply jumped octaves to find a note that existed. Lew and Walter seemed luckier in avoiding the gaps. What got by the best were the traditional full organ combinations we are so used to hearing at the Music Hall, with and without 2' Tibias, Strings, Glockenspiel, and Xylophone. The latter two seemed to have fewer dead notes than some of the pipe ranks. Jack proclaimed that the organ has lots of red stops and that the tabs were very pretty. Try as I might, I never heard most of the traditionally expected reeds, Trumpets, Post Horn, and the subtleties of Clarinets, Saxophones, Oboes and Kinuras. Jack's signature "Rubber Duckie" had no quackers. The Bishops have done much to quiet the organ, with extraneous wind noise nearly gone. Tuning was tolerable, and tremulants seemed to work in the traditional Music Hall fashion. Lew William's "Toccata, Symphony V" (Widor) came through with extremely "French" tuning at times. I would guess that there were fewer dead notes than last year, but for this listener, it was still like a ride on a street full of potholes. The massed strings and voxes were as luscious as I can remember ever hearing them, and there were some moments in Walt's, Lew's, and Russell's medleys where soft combinations were showcased and were as delicious and sweet as Junior's desserts. For the first time in years, the organ is again amplified. I have mixed reactions to that. It certainly isn't subtle, especially the Xylophone and Glockenspiel mirabilis, nearly as loud as the rest of what is playable at this point. I was unable to detect sound from the other chambers as coming from speakers, the effect might have been different further back in the house. It was difficult to guess how much direct sound was hampered by the two suspended large screen TV displays right in front of the lower proscenium chamber openings. The TV screens were cleverly decorated with ruffled curtains, but the array of five huge speaker clusters was nothing sort of ugly, a blight on Roxy’s sunburst. I can see the need for amplification when playing to a full house of exiting and entering patrons, but during a concert, I would rather hear the organ au naturale. Remembering NYATOS Sunday morning musicales, especially those with John Seng, Lyn Larsen, and Tom Hazleton, it is difficult to make comparisons between sounds over a period of decades. Those solo organists had no advantage of a working (settable) combination action and multiple memory levels. I certainly do remember some rare soft moments back then, with solos on the Bassett Horn (Clarinet) and other choice goodies that just happen to be standard Wurlitzer ranks with fancy Kimball names. Certainly, in the past, the organ had a pronounced rush of wind noise, and it was obvious when the amplification was turned on just prior to the show. Yet I do not recall enjoying the organ quite as much as I did that August 2008 night, in spite of the missing notes. If the technicians keep fixing what doesn't work, the results should be rewarding. 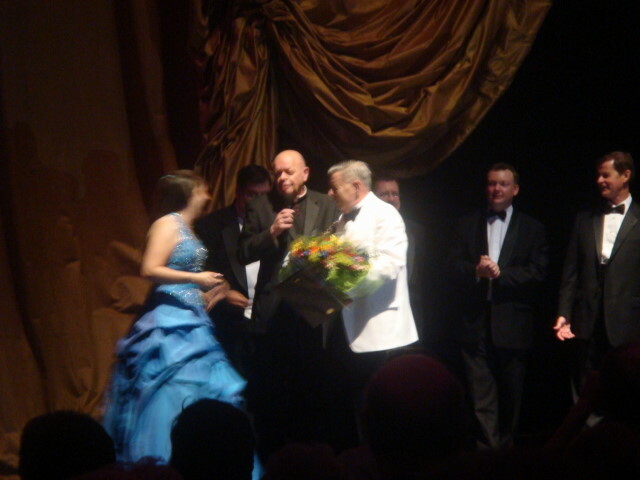 It was Jack Moelmann's evening, a feather in TOSI's cap, and a great publicity event for theatre organ in general. 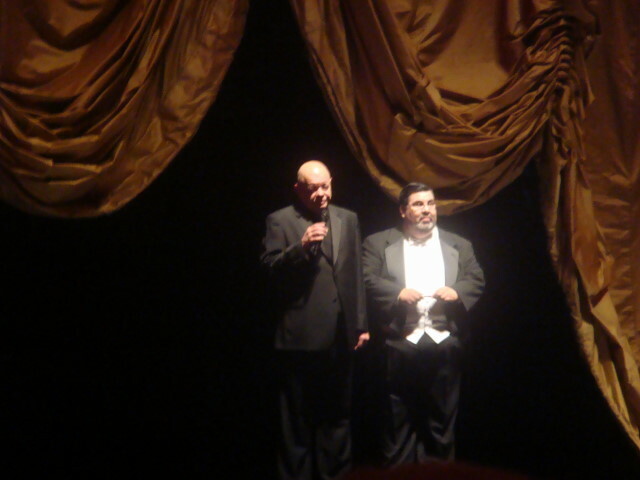 ATOS was prominently mentioned at least three times, as well, all good for promoting theatre organ in general. Jack was marveling to me about the wide range of publicity that had "caught on," and news cameras were in evidence, both outside, and during the first half of the performance, especially when the Colonel was at the console. We can look back in our history and know of some special events. 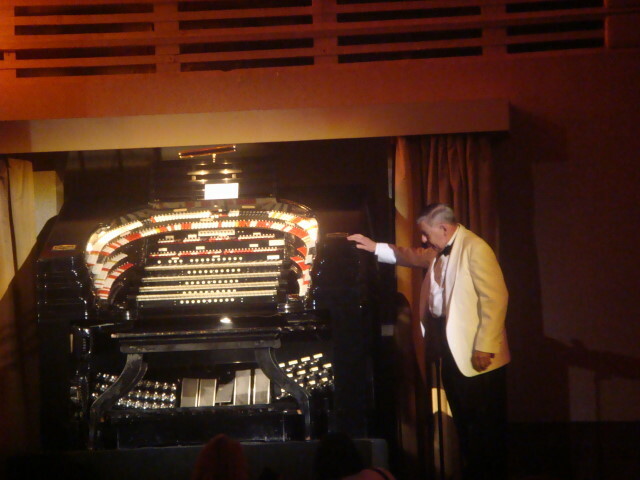 Those George Wright midnight concerts at the Fox, the premier of the new home for Jesse Crawford’s Paramount Wurlitzer in Wichita, Tom Hazelton proving the Chicago Stadium Barton was a great pipe organ, and on and on. But none of that ever generated a 3-1/2 minute segment on the CBS Evening News, or several column inches in The New York Times. Jack Moelmann most certainly proved you are never too old to dream, and to have those dreams come true. Seemingly the entire world was reminded of that by media attention we in pipe organ land can only dream about! It was a great event, indeed. Thanks, Jack, you made it happen. Thanks to all in TOSI who participated and helped pull it off. Thanks especially to Nelson Page, who finally caught the attention of the Associated Press with the “spends life savings” angle. Now, where do we get $200,000 for the encore with the Rockettes?